Welcome to Building Your Family: The Donor, Surrogacy, and Adoption Guide, a publication and website for anyone seeking to build their family via donor egg, donor embryo, surrogacy, or adoption. The annual print Building Your Family publication and BuildingYourFamily.com website deliver authoritative, practical information and tools designed to make the family building experience as easy as it can be. We know and understand the difficult emotions that bring visitors to our site; our goal is to help you make your decisions with the best possible information. Building Your Family offers the National Infertility & Adoption Directory in both the print and online platforms. In it, you’ll find donor, surrogacy, and adoption clinics, attorneys, agencies, and professional—all searchable by state, service rendered, and a number of other fields to help you put together your family building team. Expert Advice: leading legal and medical authorities outline the specific process and how-to’s of donor, surrogacy, and adoption options. Practical Tools: worksheets and checklists smooth the processes of choosing your route, budgeting, and of putting together a professional team. Personal Stories: heartwarming essays describing the process and the emotions from those who have been there. 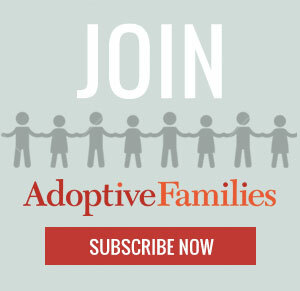 New Hope Media, a family health and parenting publisher, publishes ADDitude, a magazine and website for families living with attention deficit and learning disabilities, Adoptive Families, a post-adoption parenting magazine, and Building Your Family, a guide to family building options. Building Your Family (formerly The Adoption Guide) has been in print for more than 30 years.